When it comes to cryptocurrency exchanges, Coinbase and Gemini are two of the largest in the world. They are probably the most well known of all the major exchanges supporting fiat to cryptocurrency trading for both institutional and individual investors. Here we will take a closer look at these two popular exchanges and some of their key differences, advantages, and disadvantages. Coinbase was founded in 2012 by Brian Armstrong, who remains the CEO to this day. Armstrong was a software engineer at AirBnB before creating Coinbase. Coinbase was one of the first reliable, licensed cryptocurrency exchanges to be created after the invention of Bitcoin in 2009. Gemini was founded by Cameron and Tyler Winklevoss in 2015. 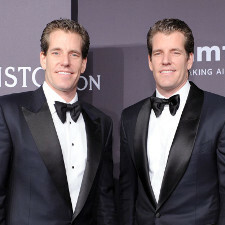 The Winklevoss Twins are famous Bitcoin investors, and are said to own enough Bitcoins to make them billionaires. The Winklevoss twins also successfully sued Mark Zuckerberg over a claim that Zuckerberg had stolen the idea for Facebook from them. The Winklevoss twins bought a large amount of Bitcoins with the money they made from the Zuckerberg lawsuit. Recognizing the immense potential of Bitcoin, they founded Gemini soon after to further capitalize on the cryptocurrency trend, and to create a safe market for cryptoasset investors to buy and sell crytpocurrencies. Despite the fact that Coinbase and Gemini are very similar, they also have a number of key differences. Perhaps the greatest difference between these exchanges is the currencies that they offer to their users. Coinbase currently offers four cryptocurrencies: Bitcoin, Ethereum, Litecoin and Bitcoin Cash. Gemini only offers two cryptocurrencies, which can be bought and sold on their platform: Bitcoin and Ethereum. However, there is a possibility that both exchanges could add more coins in the future. There are a few other differences between the two exchanges as well. For example, Gemini has lower transaction fees than Coinbase does. Additionally, Coinbase allows buying with bank transfers, credit cards, and debit cards, whereas Gemini only allows buying with bank transfers. Coinbase allows selling with PayPal and bank transfers, and Gemini only allows selling with bank transfers. So, Coinbase is slightly more flexible when it comes to payment methods that it allows to be used. However, because Gemini only allows buying and selling with bank transfers, one could argue that it is a more secure network, and more straightforward as well. Another key difference between Gemini and Coinbase is user interface. Coinbase is designed to be extremely user-friendly so anyone can easily make an account and start trading. The user interface on the Gemini website has a much more serious feel to it, including more technical charts accompanied by features dark images of space, astronauts, and shuttles. There is also much more trading and finance jargon on the Gemini website. Because of the differences between the user interfaces of Coinbase and Gemini, many people would assume that Gemini is more catered towards institutional investors and serious traders, and Coinbase caters to both more serious clientele, and first-time investors. One of the most important advantages of both Coinbase, and Gemini is that they are both FDIC insured, just like regular banks. Many cryptocurrency exchanges do not have FDIC insurance, so this is a tremendously significant point. Coinbase offers FDIC insurance covers for fiat money held on its books up to $250,000 per account. Coinbase also stores 98% of its cryptocurrency assets in cold storage vaults to optimize security, and to make it immune to online hackers. The remaining 2% of its cryptocurrency assets that are stored online are also covered by a thorough insurance policy. This means that if Coinbase’s network is compromised, and if assets are stolen, then account holders will still be reimbursed. Gemini also offers FDIC insurance for cash that is stored on its exchange, and insurance coverage for digital assets. Further, Gemini also heavily relies on cold storage to protect the security of the bulk of its cryptoassets. So, both Gemini and Coinbase are essentially the gold standard of cryptocurrency exchanges when it comes to security and insurance. This means that it is considerably safer to invest large amounts of money on the Coinbase and Gemini exchanges than it is to invest large sums on other accounts. The extensive security measures that Coinbase and Gemini employ help them to uphold fantastic security reputations. To date, neither Coinbase nor Gemini have experienced any major system hacks like those of Mt. Gox or Nicehash. Even if these exchanges did get hacked, users would be reimbursed for the bulk of their holdings if they were stolen. This helps to add a tremendous amount of confidence for these exchanges, and that is exactly what good cryptocurrency exchanges need. Both Coinbase and Gemini also both have generally good customer service and high levels of community trust. 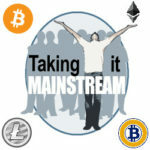 Both of these aspects are crucial for cryptocurrency exchange success. Coinbase and Gemini are also two of the largest exchanges in the world, which helps to add to their reputation as high quality in the cryptocurrency exchange industry. Coinbase is the largest cryptocurrency exchange in the U.S., and has over $20 billion in trading volume. There are not too many disadvantages for Gemini or Coinbase, however there are still a few. One of the most significant disadvantages of Gemini is that it only offers two cryptocurrencies for trading (ETH and BTC). Many people view this as extremely limiting, and it dramatically reduces Gemini investors’ ability to invest in altcoins. Altcoin investing is something that many cryptocurrency investors highly value, so that fact that Gemini only has two coins is frowned upon by many. Although Coinbase has twice as many coins as Gemini, it still only offers a total of four coins, which is not that much better. This is especially true considering the fact that some other crypto-crypto exchanges offer dozens or even hundreds of cryptocurrencies to invest in. With that said, Gemini and Coinbase are still ideal for people who want to invest in the top cryptocurrencies on the market. Many major “crypto-to-crypto” exchanges, such as Bittrex, accept deposits with BTC, ETH and other top coins. This means that investors can still access altcoin investing by making a deposit with the BTC, ETH or LTC they purchased at Coinbase or Gemini on a crypto-only exchange. Though this adds one extra step to the cryptocurrency investing process, and is still somewhat inconvenient, it means that anyone with access to Coinbase or Gemini can still invest in altcoins. Another common criticism of Coinbase in particular is that the fees are too high. The fees for Coinbase transactions are $1.49% for bank deposits and 3.99% for credit and debit card purchases. These are significantly higher than the fees for Gemini, and for many other exchanges. Gemini only charges .25 % for trades. While Coinbase fees are considered to be average for cryptocurrency exchanges, Gemini’s are considered to be on the lower end. Traders who are looking to make many trades would probably be better off opening an account at Gemini. People who are new to cryptocurrencies and who just want to buy some quickly to hold onto to get started may be better off doing so at Coinbase. Despite the differences between both of these exchanges, both are very reliable, and you can’t really go wrong with either one of them, as long as you are comfortable just trading a few different coins. The need for reliable cryptocurrency exchanges has never been higher. That is because more and more people are investing in cryptocurrencies, and the amounts that are being invested are getting larger and larger. There have also been a number of extremely high profile hacks of major exchanges and cryptocurrency related-organizations since they came on the scene in 2009. The most significant cryptocurrency hack of all time was the Mt. Gox hack. Hundreds of millions of dollars’ worth of Bitcoin were stolen from Mt. Gox, and the exchange went bankrupt in 2014. This resulted in incredible losses from Mt. Gox customers, many of whom never recovered any of their lost money. Another major cryptocurrency hack was the NiceHash hack of 2017. NiceHash is a cryptocurrency mining marketplace, and it had roughly $60 million worth of Bitcoins stolen. Both the Mt. Gox hack and the NiceHash hack are perfect examples of the dangers that can happen when hackers find a vulnerability in a system. The fact that Gemini and Coinbase store the vast majority of their coins offline helps to protect them from suffering the same fate that NiceHash and Mt. Gox suffered. Mt. Gox now lives on in infamy as a cautionary tale to both cryptocurrency investors, and for anyone who runs or who wants to run a cryptocurrency exchange. It appears that the Winklevoss twins and Brian Armstrong learned the harsh lessons taught to the world by the Mt. Gox hack. Hopefully, one day all cryptocurrency exchanges will have bulletproof security. That is unlikely to ever happen and it is an unfortunate probability that the next major hack is probably just around the corner, but such a hack is unlikely to occur at either Gemini or Coinbase. Coinbase and Gemini are both top-notch cryptocurrency exchanges. That is why they are both being trusted to handle cryptocurrency assets for incredibly large numbers of people. Considering the fact that the cryptocurrency market has been steadily growing since its creation in 2009, it is highly likely that both Gemini and Coinbase will continue to grow and will thrive even more than they are already doing at the present time. If either one of these exchanges hits a major snag, either with a hack or with some kind of internal error, then it could risk losing significant market share to the other. It is good for the market for there to be at least two reliable exchanges. It helps to create a better balance and prevents one exchange from having a complete monopoly on the cryptocurrency market. It is also extremely likely that the two exchanges will keep thinking of new ways to try to compete with one another. This could be done either through adding more coins, striking new deals, or expanding international operations. There are many different ways that the cryptocurrency exchanges could grow and improve in order to compete. If you are thinking of starting to invest in cryptocurrencies, or continuing your investing of them, then it may be wise for you to consider opening a trading account on both Gemini and Mt. Gox. This way, you can get the best of both worlds by getting the lower fees of Gemini, but the cleaner and friendlier user interface of Coinbase. You would also have the opportunity to get the great customer service offered by each exchange. Plus, if you have an account on each exchange, it helps to diversify your risk if you are worried about hacks or security breaches. Whichever exchange you choose, if you choose Gemini or Coinbase, you are likely going to be very satisfied.